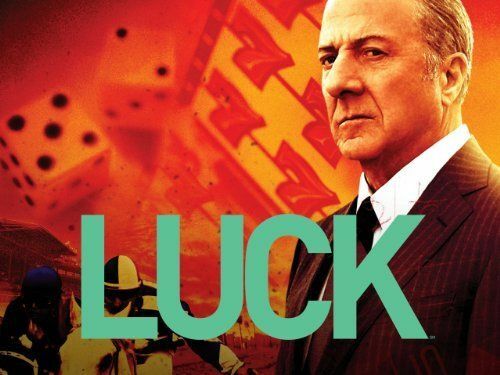 I watched this series "Luck" and it was perfectly accurate about the race track scene at Santa Anita and the other tracks in So Cal. Brought back memories I'd forgotten... Anyway, this was recorded before the one that's up now. Like about 4 days ago. Up to share the latest word at 3 AM. It begins disorganized, as I wake up to some espresso ... then seems to be a comprehensive world view of all things. I again renounce the idea of Obama as Antichrist (dictator perhaps! )...more in line with presidents before him... and the Rapture doctrine, and even timing Tribulation -- it's very tempting but all we can really do is just follow God's word, stay out of the satanic initiated dead zone by the power of Jesus Christ, which is the only way. For me, I rely on God to get me through, I just can't make it on my own or in the collective--I find eventually everybody stabs everybody else in the back anyway. Toward the end, I offer this thesis: you can be in the world and not of the world. Summarizing... i.e. you can be anywhere, working at anything pretty much, and still be in the Lord's grace. I do go over satanic lyrics and their meaning since the rock industry has largely been cryptic evangels of the Devil. I know many people working in the world and due to God's power and not their own, living freely. Amen to that. It's really unpopular to say no-rapture and no-AC status for Obama... I was obedient and spoke about the conspiracy theory charlatans who come in Jesus' name. Who string you along, bit by bit, next week, next week, keep tuning in for the rapture is nigh. AND AN APPLICATION... I think this brings comfort (as it did me) to those who truly love truth, but to the Institution of Religion it brings no comfort. None. POD: ANTICHRIST - IS THIS IT? I deeply respect my prophetic and visionary brothers and sisters who have bravely shared prophecies, dreams and visions of Barack Obama as the Antichrist, and this as the time of Tribulation -- the advent of the Return of Jesus Christ and the establishment of the Forever Kingdom of God. I stop short of saying Obama is it, as the evidence mounts up -- it is not time for me to say such a thing adamantly, and yet, he is the most antichrist and powerful.... many have done surveys of his life and I do not do that here. We cover the worship of Obama and the fact that his followers do consider him the return of Lucifer to the earth, and they do pledge their lives to him in total. Last note: the math doesn't exactly work out unless you say Tribulation began 3.5 years ago, after Obama's first inauguration. Which also means people have not been raptured by Jesus. So it's an interesting thing to be reasoning and exploring in the spirit. The beginning of their Kingdom, or another failure? Obama's Hawaii trip yielded nothing--he is not indwelt by Lucifer, as hoped for. The return of the gods (Fallen Angels) should occur now, we should be going into the Daniel timeline and Rev timeline to the end, ... if they don't pull this off by Jan 20, a whole new set of events comes into play. I am glad I kept my powder dry, and never took the leap, you can't with God... I saw Barack Husein Obama as the New King but now he has lost his mojo, even though successful at beating up Congress. Washington is a Temple to a number of gods and in particular to the Sun God, or Satan. (Sun, Son of God, Satan.... Morningstar, morningstar, satan jesus.....)... we talk about this Sun, morningstar thing being Lucifer or Jesus a bit. I explain it.